If you have employees who you will be promoting into a management position, training them is the best thing you can do. Do not simply thrust them into a management position and expect them to know what to do from watching their past manager. It is especially important for managers to be trained, as they will be in charge of other employees. If your managers are not trained correctly, your employees will also not work well. Providing this training for your new managers will results in many advantages for your business. If you are going to provide a management course, you want to know what they will learn. You want to make sure it is worth your investment. Most training courses focus on one or more of the following topics. Communication is the number one topic discussed and practiced in management training. As the number of different ethnicities, backgrounds, and languages in workplaces grow, communication in the workplace is more important. Without communication, people become angry or do not understand each other, and such behaviour can only lead to discord. This part of the training will teach your new managers to understand and solve their differences. Depending on your business, your manager may need to know higher levels of computer skills. However, whatever your manager’s job, you should make sure to choose a course that spends a bit of time on computer skills, so that they can manage the system of clocking in and out and fix basic technical problems. Serving cranky customers while maintaining a smile can be difficult. However, training courses will teach your managers customer service techniques for doing this as best as possible. Different people have ideas of what right and wrong are. With the varying levels of morals, teaching about ethics can be important so that expectations are clear. Safety training is mainly for those who are doing manual labour, to keep them safe when working with large machines. However, this training can also include some self-defence techniques if, for example, someone is trying to rob your store. How Will It Benefit My Company? Morale: Your workers will feel more secure in their positions, as you are spending time and money to train them. Because they now have more strategies, they will feel more confident about what they need to do, and do it with a more positive attitude. 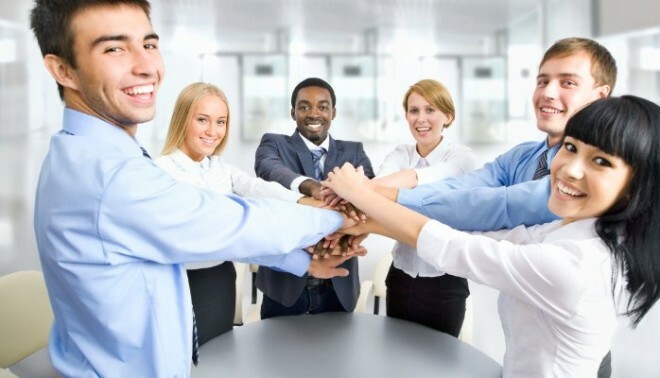 Team Building: Your workers will feel more united after working on their communication skills. Customer Satisfaction: Your customers will leave the store more satisfied, because your managers are better equipped to deal with their problems. Efficiency: Because of your managers’ new knowledge, they will able to be more efficient in their jobs. They will know how best to work, getting more done in a shorter time frame. Will Integrated Management System Certification Benefit You?